Bicycle accidents are common in warmer weather states, where more and more people are making the choice to bike to work and other destinations. Riding a bike allows a person to get some exercise, and cut down on the costs of commuting. Unfortunately, collisions with motor vehicles can occur. Trucking accidents involving bicycles can be particularly catastrophic.Because the sheer size and weight of a truck is so much greater than that of a bicycle, the cyclist often suffers life-changing injuries. At Sumner Law in Berkeley, CA, we fight for full and fair compensation for victims of these tragic accidents. Much like a motorcycle, a bicycle offers little to no protection to riders. This is true even when the rider takes every available safety precaution, such as wearing a helmet and other protective gear and clothing. Many of these injuries require extensive surgery and lifelong therapy or rehabilitative services. In the most devastating cases, a victim can lose a limb or even suffer a fatal injury. A thorough investigation into the accident is required when seeking damages for the injuries suffered. This can allow for pursuit of recovery from every available source. Sometimes the trucker is solely responsible for the accident, but in many cases the trucking company plays a role in the overall picture. The trucking industry is subject to special rules and laws, and when those rules and laws are violated, the company itself is culpable for damage and injuries. There are also cases in which the city bears some responsibility. All of the factors of the case must be considered when formulating an effective strategy. A skilled personal injury lawyer can help. 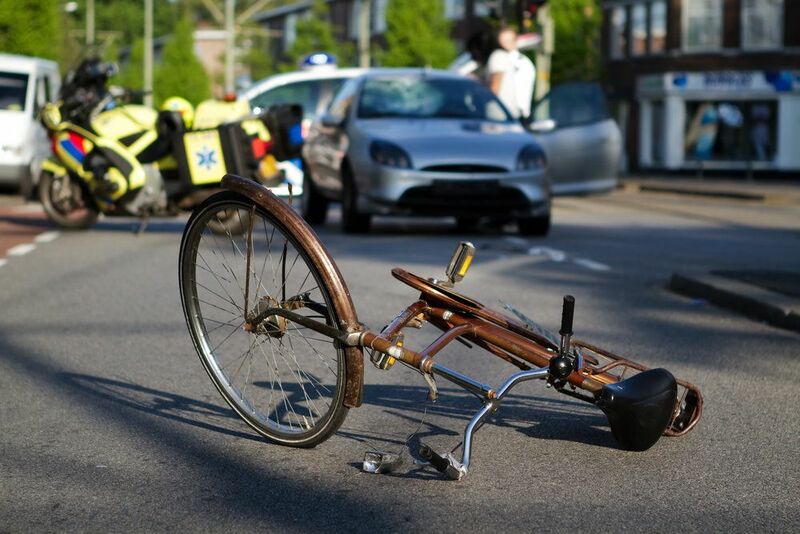 What Damages Are Victims Entitled to for Trucking Accidents Involving Bicycles? Victims are entitled to compensation for damages. This compensation may include lost wages, loss of future earnings, the costs of immediate and ongoing medical care and treatment, pain and suffering, and expenses associated with final arrangements in the event of a wrongful death. The victim is in the best position to initiate a claim, but in cases where a fatality is involved, the family has the right to pursue reimbursement for the accident. If you have questions about what to do after an accident, we have answers. We know these cases are emotionally charged, and can cause a financial drain on your family. We work hard to get you back on your feet, and get you the compensation you deserve. Contact us online or call our office at (925) 278-6170.